PS: Anyone know how the florist got the lemons to stick to the sides of the vase while they filled it with flowers?! How sweet! 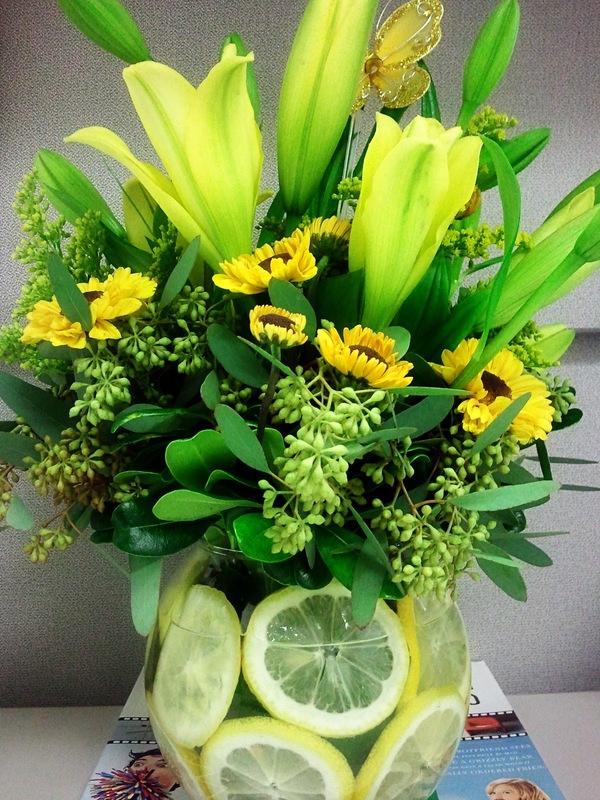 Adding lemons to the arrangement is so creative and unexpected! I would maybe call a florist and ask. I bet they would tell you how they got the lemons to stick. That was so nice of your mom, they are so pretty!